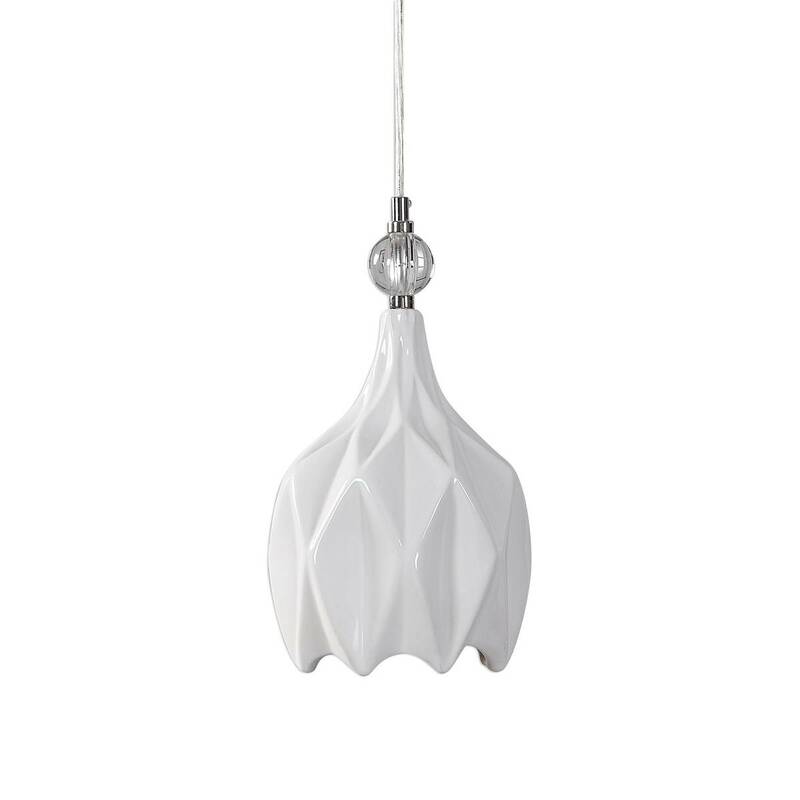 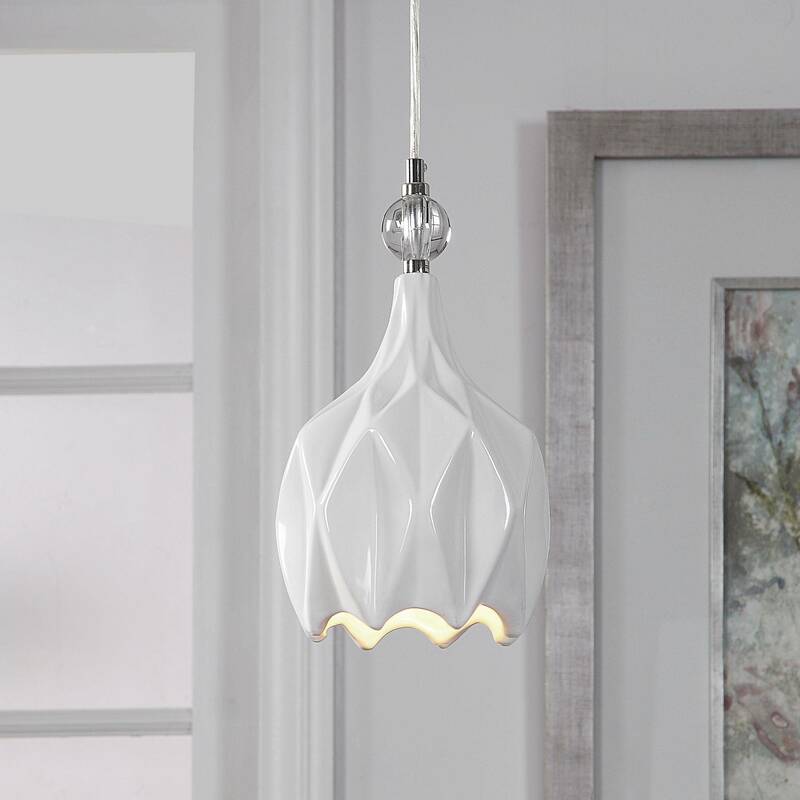 The Uttermost Maleny 1 Light Mini Pendant exudes modern style. 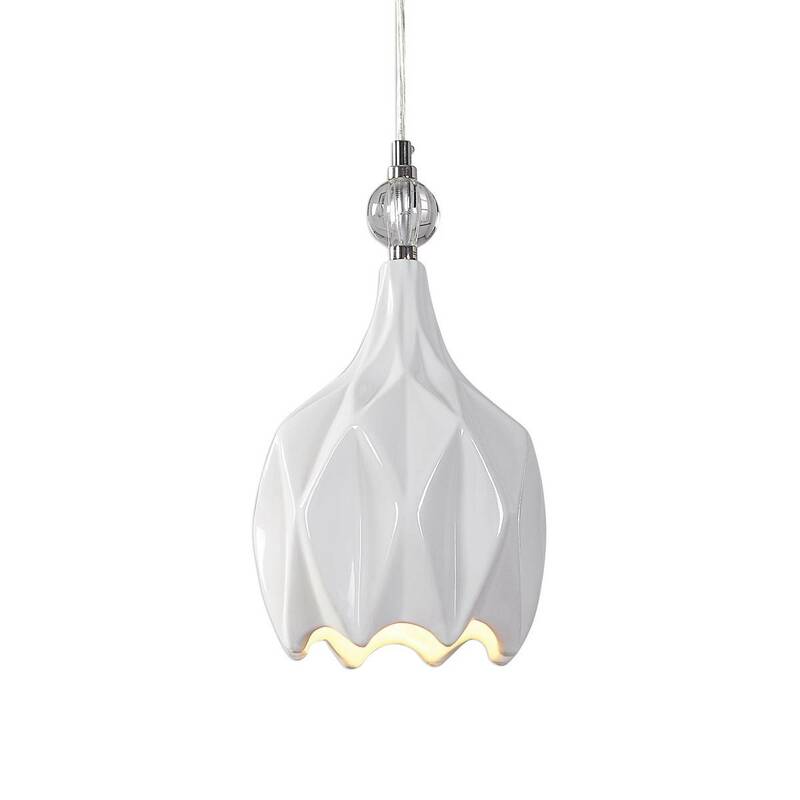 This mini pendant has its own unique character due to the distinctive embossed geometric pattern. 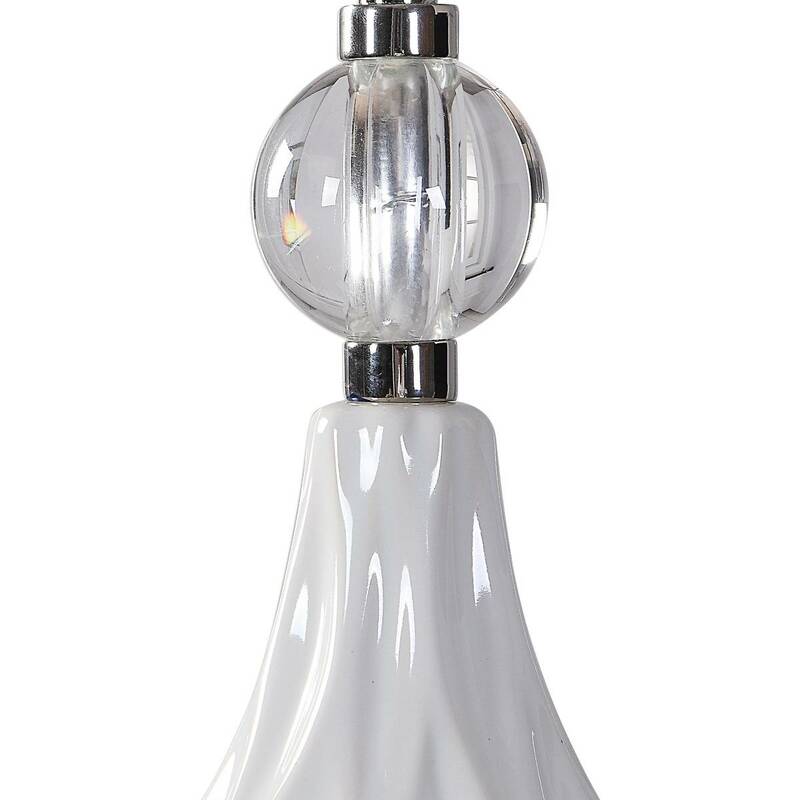 Feel the love for the glossy white finished shade thats been elevated with polished nickel details and a crystal ball accent. 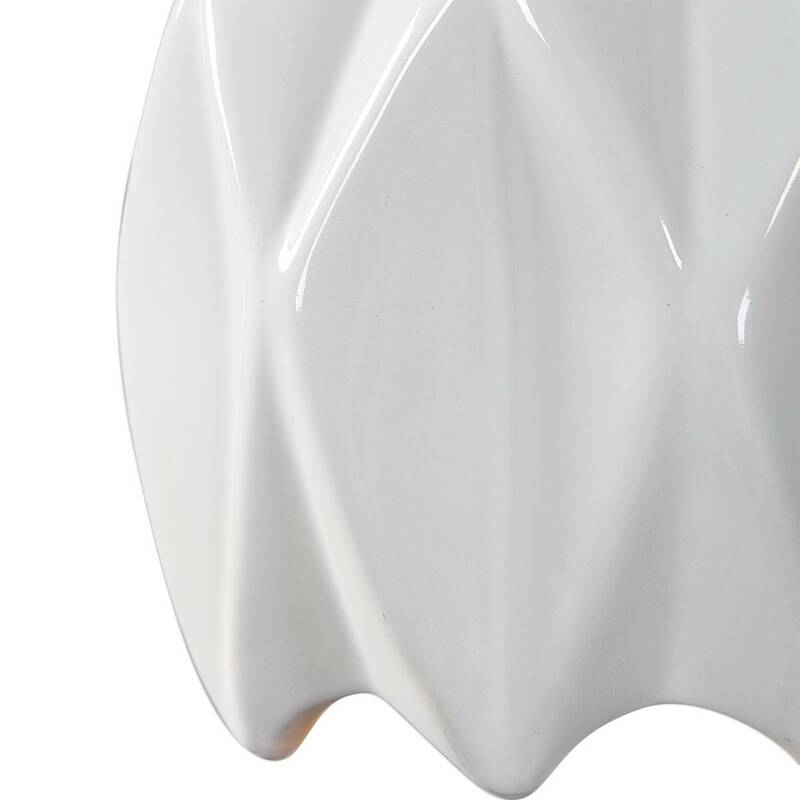 Ordered 2 of these for my kitchen island and they look AWESOME!